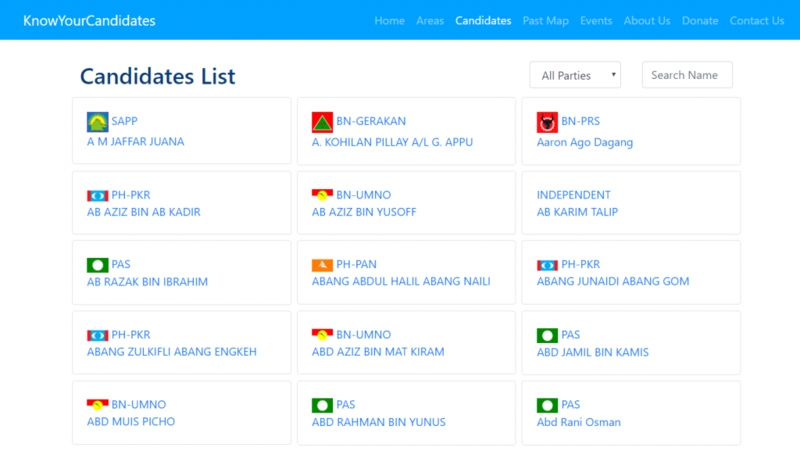 KnowYourCandidates is a Malaysian website that wants Malaysians to actually take an interest in politics. Besides just the name of your candidate, the website also tells you about their experience, contributions, rally dates, and even a contact for coffee sessions. It is run by ten volunteer Malaysians, and they’re looking for more members. I didn’t know who my DUN candidate was going to be until last week or so. With a relatively short timeframe between the GE14 date announcement and actual day of voting, things are a little bit hectic with the general elections this year. And part of this means that many of the candidates are not known to their constituents until very recently. That’s not enough time to actually figure out what their goals and policies are. This is not helped by the fact that many of out publications that do speak of politics do so with bias to one side or another. 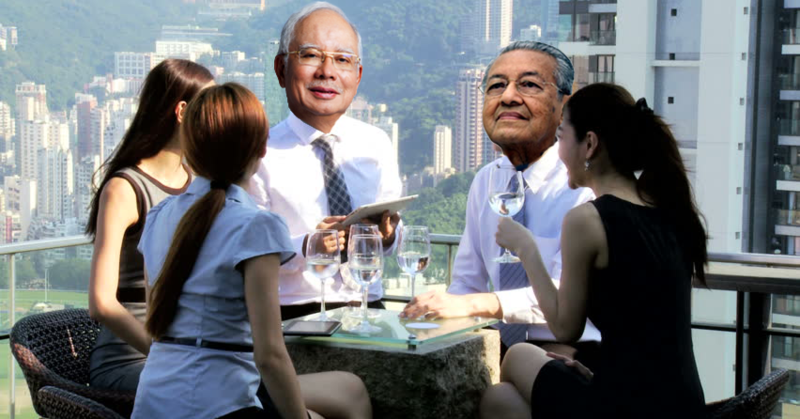 While Malaysians are mainly worried about who will become prime minister for the next 5 years, it is also important to remember that whoever you elect to represent your area might impact your life much more than the PM will. While this Malaysian startup won’t make the decision for you, they can certainly help you make a more informed one. KnowYourCandidates does exactly what you expect it to. MySPR Semak can tell you the name of your potential candidate, but KnowYourCandidates will actually tell you things like the candidate’s political history, experience, contributions, dates for rallies—and for some even their contact details. This means that you can potentially contact them straight and maybe even go for yum cha with them. The website is targeted to Malaysians below 35 who may not know too much about current politics, but want to. If politics is too heavy and complicated for today’s youth, then it’s much easier to compare between 2 to 3 candidates that are immediately relevant to their area. The project came to be because the founders themselves discovered that they didn’t know who their election candidates were. But beyond that, Jay Shen, co-founder of the project noted that not only are some young Malaysians not interested in politics, they’re actively avoiding registration, or choosing not to vote once registered. This is why the group of volunteer Malaysians ensured that their website is as neutral as possible—their goal is to educate, not to serve as a propaganda site. The parliamentarian candidate information was collected within just two days after nomination day. Some of the candidates listed. And it’s all done by a team of ten part-time volunteers who use up their free time at nights or weekends to get the information sorted. This culminates to about 700 candidates that are currently online, all done over one weekend. Now, the team is working hard to get information about the 1700 DUN candidates up and running on the platform as well, a slow process until they hit the weekends again. “We intend to give a profile to each of these candidates, so it is a huge undertaking. I would like to take this chance to ask for more volunteers,” said Jay Shen. They had been working on this since February, and the first thing the team did is to approach the political parties about the idea. Eventually, the team hopes that the platform can remain relevant beyond just elections. Beyond just knowing who the candidates are, KnowYourCandidates also wants to help representatives engage with their constituencies, and even support them in delivering their promises. “We hope this would be our contribution to nation building,” concluded Jay Shen. We can’t help wondering if anyone has taken up KnowYourCandidates’ option to yum cha with their representative, especially during these busy election times. Apparently, there have been sessions that have happened thanks to KnowYourCandidates. “It is extremely difficult to have a private yum cha during the campaigning period, but there are instances during the times before the parliament was dissolved in early April. Since we started, we get private messages now and then from candidates updating us whenever someone new took the effort to connect to the candidates,” said Jay. You can find out about your candidates on KnowYourCandidates here.